What an amazing year! Just fainting at that Baby Medley...and I have a real soft spot for those Dragons...Prickles is my second fav! Glad you got that Blue Lickety, she is stunning! Ohhh wow you have some stunning ponies! Beautiful ponies! 2011 was a great pony year for you! Where did you get the red haired Comic Con pony? I haven't been as active this last year and I don't remember seeing her. @MedleySong- She's sitting on my desk by my bed, I absolutely adore her! Her hair color is so beautiful! 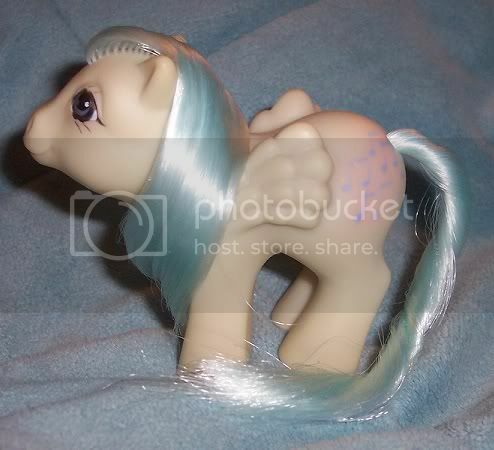 Wow, that is an amazing bunch of ponies - I'm especially drooling over that blue Lickety Split; she's so lovely. Holy ponies! That is quite a lot of super rare pony goodness! I'm so jealous of that baby Greek Medley and your Greek Ladybird, lol! Congrats on getting soooo many amazing ponies!